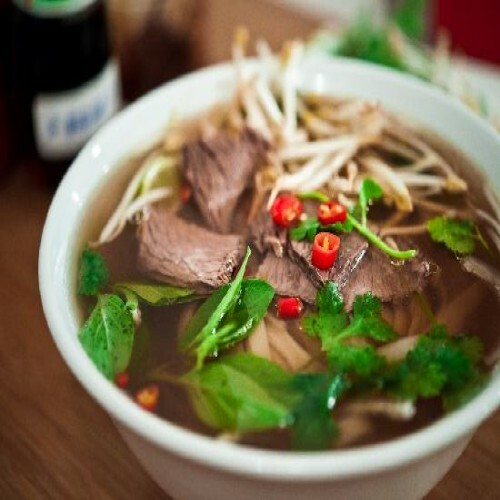 Riding along the crowded streets of Saigon in the afternoon, people can often be attracted by a fragrant and spicy smell of seasoned grilled rolls of beef, stemming from moving-stalls blurred in the smoke from charcoal flame. This dish, wrapped up in wild betel leaf, has become a favorite snack of Vietnamese, particularly Saigonese, to serve with beer or wine. Though its raw form holds not much of a fragrance, the betel leaf, on the contrary, leaves a charming herbaceous and slightly peppery aroma to the beef. Originated from Southeast Asia and has been cultivated for thousands of years, this kind of herbal is high in antioxidants and has widely been known as a medicine. Wild betel leaf is very popular in Vietnamese life as a cuisine as well. The dish is usually served with bun (vermicelli noodles), wrapped with lettuce rolls in rice paper as a spring roll, or served on its own as appetizers. It’s tasty on their own already, though many people like to dip in the ubiquitous Vietnamese sauce. 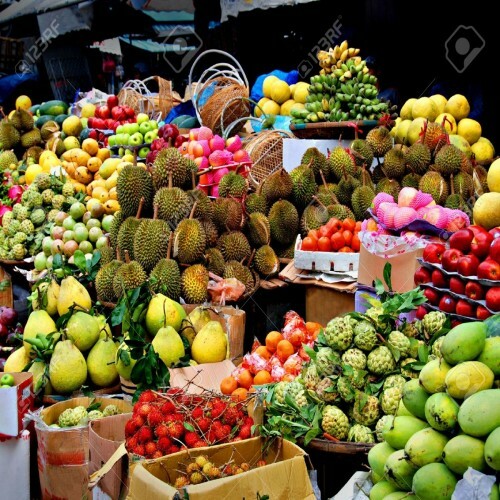 The plate of vegetables goes with the rolls is also remarkable, with its wide variety of plants and tastes. 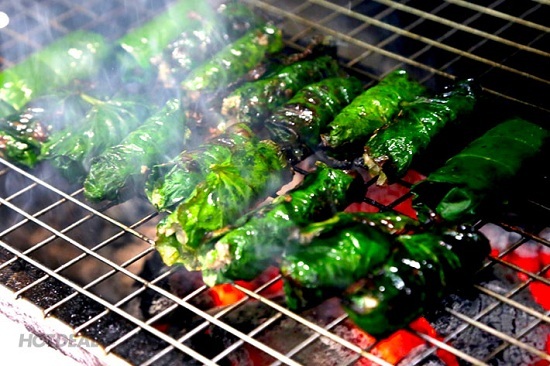 Grilled beef wrapped in wild betel leaf is an ideal dish for an afternoon drink amongst men, as well as for a friend gathering when people can gossip, enjoy the incense smell while grilling. 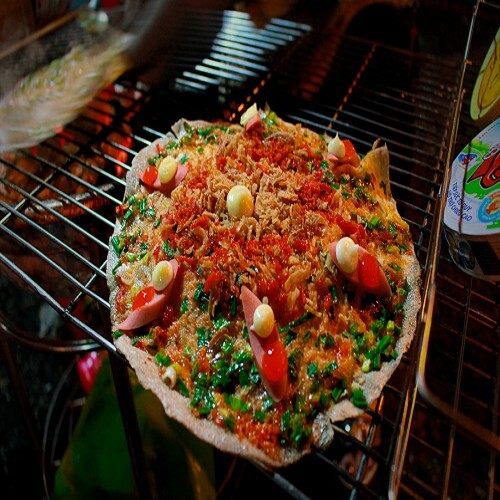 Partly because of being a grilled food, this dish is often served outside or especially on the street. 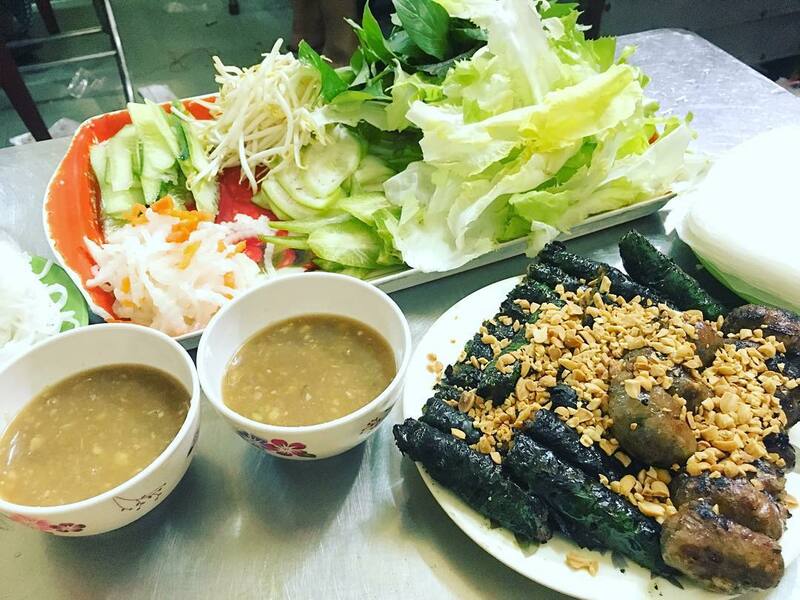 Cool days or even rainy days, the time when grilled beef wrapped in wild betel leaf is the most popular. Such a pleasant atmosphere created by the funny sound of grilling beef and delicious smell spread around a corner lures people into stopping for some minutes and enjoy the dish. 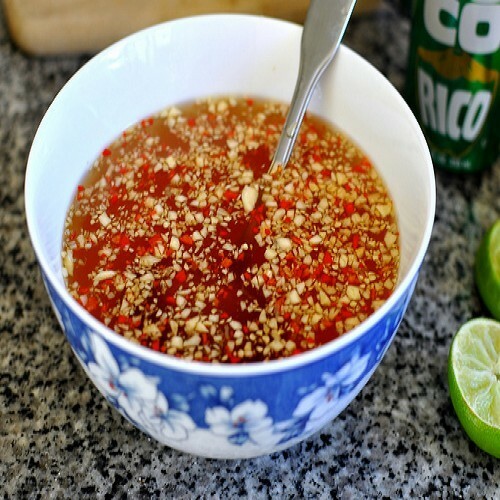 Step 1: In a large bowl, mix together the beef, speck, pepper, salt, sugar, chicken stock, garlic, shallot, lemongrass, five spice powder and peanuts. Set aside for 30 minutes. Step 2 Detach betel leaves from the stems, rinse each leaf gently and individually and pat dry. Step 3: To roll, place the leaf on a flat surface with the shiny darker side facing down and the stem pointing out. Place 1 tablespoon of meat near the tip of the leaf and shape nicely. Roll over and stop when you nearly reach the stem. Punch a tiny hole with a skewer/ toothpick in the middle of the roll. Then insert the stem into the hole to secure. Step 4: You can insert a few beef rolls into the skewer and grill on charcoal or in the oven at 180°C/375°C for 15-20 mins. Remember to brush the rolls with cooking oil before and during the grilling so they won’t dry up. Step 5: You can also fry them in a pan with some vegetable oil for 2-3 minutes each side on medium heat. Step 6: Garnish with crushed peanuts and scallion oil. 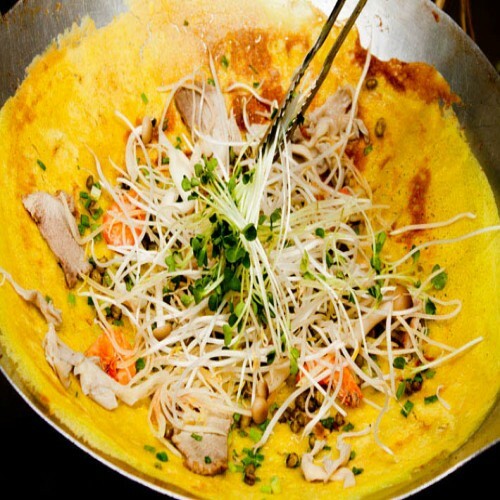 Serve with rice vermicelli or wrap and roll with fresh herbs and rice paper. Anchovy dipping sauce is recommended.